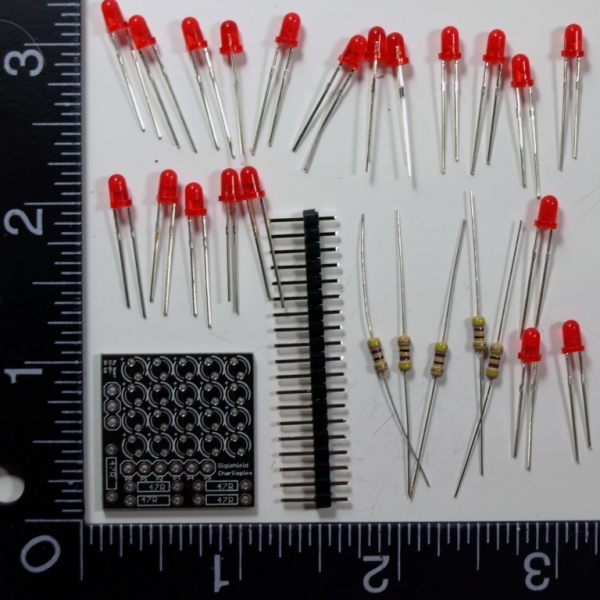 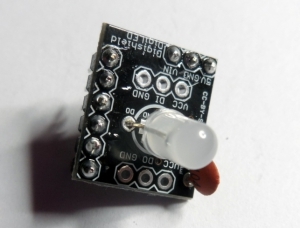 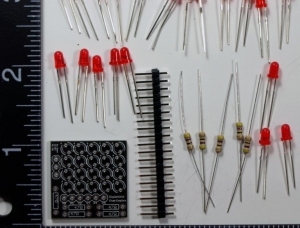 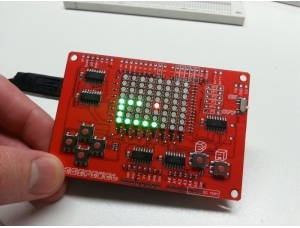 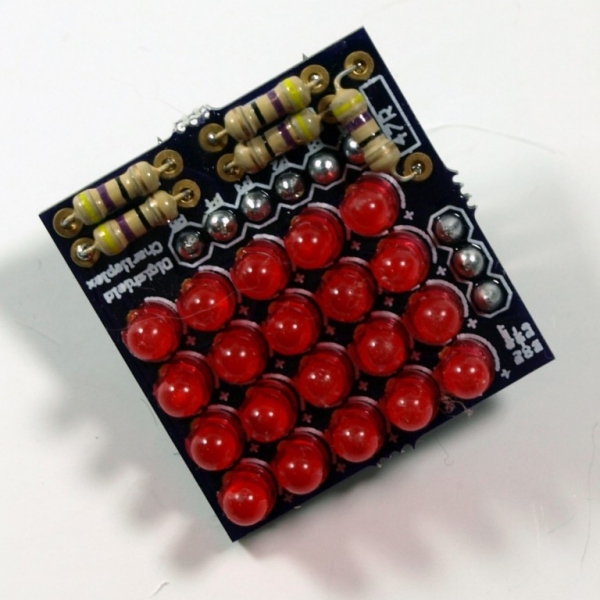 The Charlieplex LED Shield Kit connects 20 red LEDs to the Digispark development board. 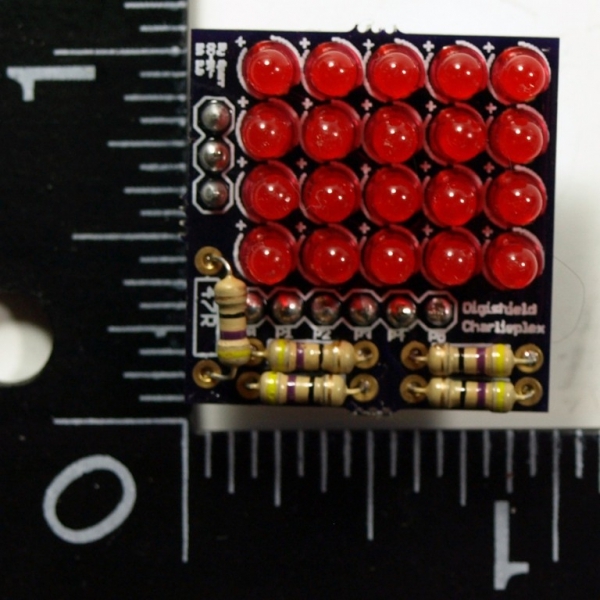 The LEDs can be controlled through charlieplexing, using rapid changes to make it appear that many are on at one time. 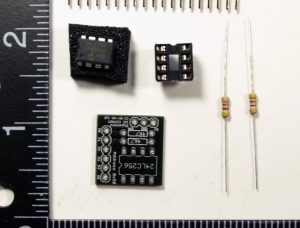 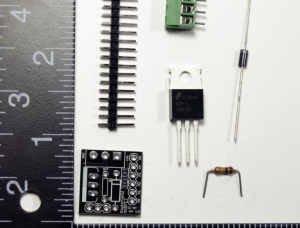 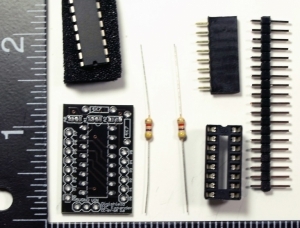 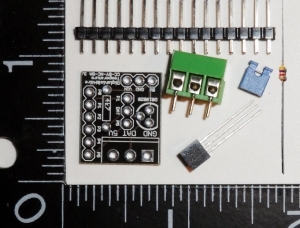 This will allow the LEDs to display messages, animations, and more.